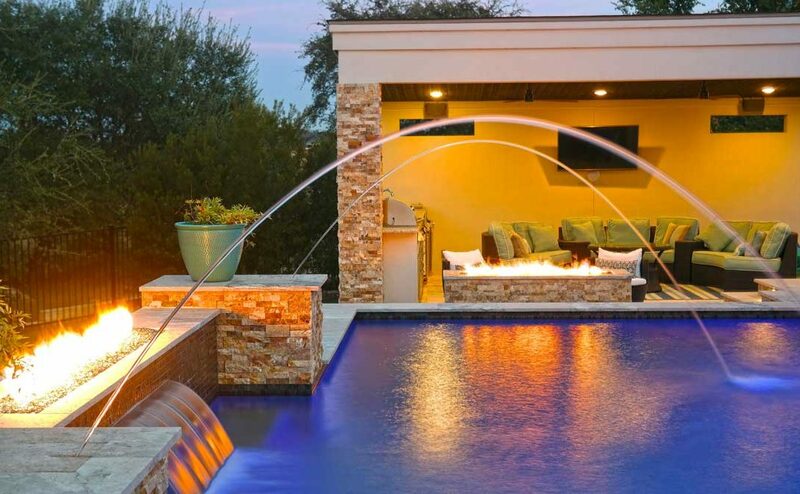 Thanks to the warm climate down here in Texas, backyard pools can be enjoyed year-round, including at night. In fact, the nighttime is one of the best times to enjoy your pool as it provides the perfect way to end your day on a relaxing note. But before you take your nighttime dip, be sure to heed these suggestions for use of your pool built by pool cleaning Austin TX. While your pool is meant to be enjoyed, there should be nothing that stands before the safety of all those in and around the pool built by swimming pool builders Austin TX. That’s where lighting comes into the picture. Implementing the appropriate lighting design in your pool area can make it much easier for swimmers to see everything even while underwater. Lighting also helps those who are hanging out on the deck area to see those who are in the pool in case there is an emergency. The steps and surrounding deck areas also should be outfitted with lighting to help prevent accidents and boost security. Of course, the right type of lighting can also create a wonderful ambiance that you can enjoy even if you’re not actually swimming. Today’s innovative pool lighting allows you to change colors, and even adjust speed, motion, and brightness. For areas that surround the swimming pool, low-voltage lighting offers a soft glow to help create a warm environment or to showcase certain landscape or architectural elements of your backyard. You’ll likely want to have some level of privacy when you’re enjoying your pool, and fencing and landscape features can be effective at achieving that. Trees and plants also offer some level of visual and audible privacy that can make your pool and backyard more quiet and private. Evergreens work quite well for this purpose. Be sure to talk about all of your nighttime swimming needs with swimming pool builders Austin TX to make your pool and backyard safe, secure, and private.